Ask an Expert is a digital interface between people and the medical community. It aims to clear the haze and provide a reliable source of information and guidance. It aims to exploit the concept of flat world using smart phones, ipads and emerging technologies. According to WHO the health definition is not limited to the status of body without disease, in true sense health is a state of individual body where an individual enjoys overall wellbeing of mind and body. Use Setu Healthcare platform to consult or ask a question to medical experts and complementary and alternative medicine therapist - wellness promoters. Our experts will help you to combat the disease in holistic way as well as to relieve the side effects of the conventional medicine. The ideal combination of conventional medicine and complementary therapy will significantly improve your quality of life. 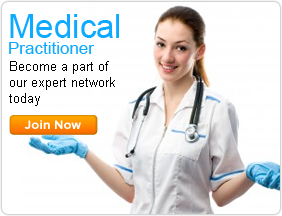 Why Setu Healthcare’s Ask Expert service? Flexible: Ask an Expert will provide the patient/consumer with the flexibility of having second opinion on chronic conditions. Comprehensive explanation: Ask Expert’s aim is to give clear, crisp explanation to patients in a language which the common man appreciates. Cost effective: It will be a cost effective way to supplement the indispensable visit to a doctor.